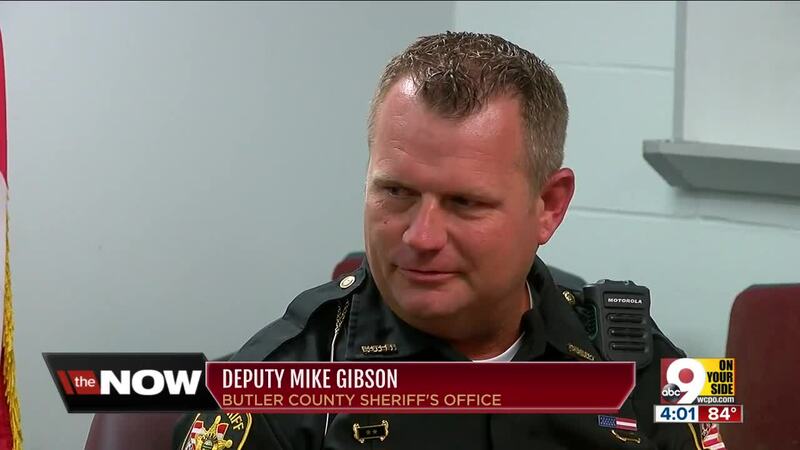 WEST CHESTER TOWNSHIP, Ohio -- An off-duty Butler County deputy jumped into action to save a choking girl Saturday. Chelsea Kurtz and her family went to the movies at the Cobb theater Saturday evening. As they were leaving, she noticed something was wrong with her 8-year-old daughter, Maddie. "She was holding her hand on her throat and I noticed something wasn't right," Kurtz said. Maddie was choking on a piece of Warhead candy. "I panicked and I started screaming and saying, 'Somebody help me,'" Kurtz said. "It was very emotional and I just felt extremely helpless." 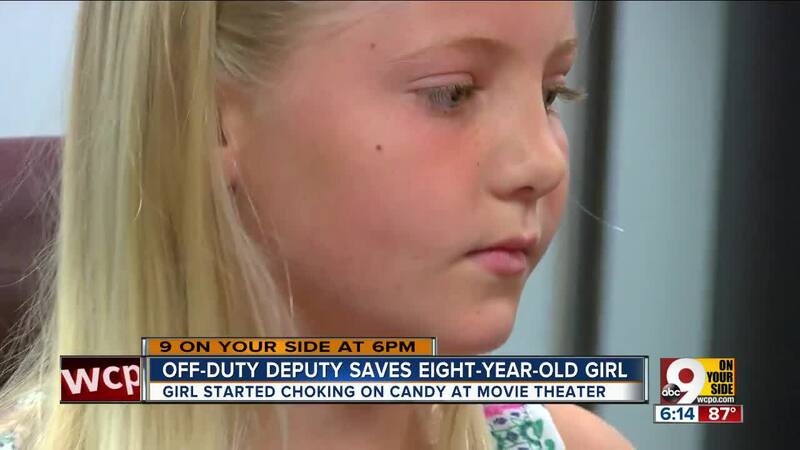 That's when off-duty Deputy Mike Gipson stepped in to perform the Heimlich maneuver. It took less than 51 seconds and just 10 quick compressions to dislodge the candy. "I've been going this for almost 15 years, so it was almost second nature," he said. "It was nothing." But for Maddie, it was life-saving. "He saved my daughter's life, and for that I'm truly grateful," Kurtz said.